This Gemline Select Zippered Tote is the perfect bag for any occasion. 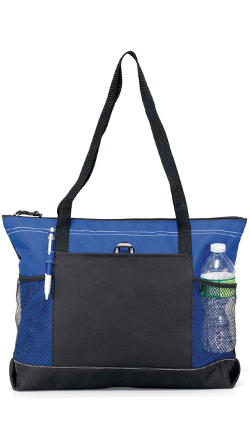 Bring this tote with you to the beach, on vacation, to sports events, to school, and more. Perfect for all travel and outdoor activities. With it's zippered compartment and front pockets, you can easily tote around all of your necessary items. Choose from a variety of colors and add this bag to your collection!